Once in a while I will put out some expired bread or crackers to see what shows up. Usually it is just a squirrel or opossum. 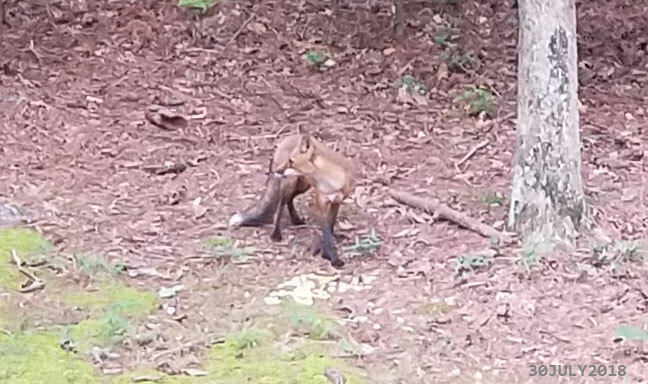 This morning a fox showed up which was a tad odd because it was light out. It is a red fox. Click for “Read more” pic and video.